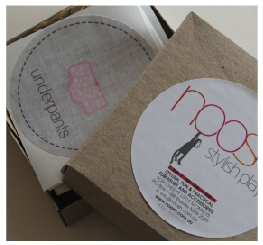 Noosh (the brand) is all about clever ideas. 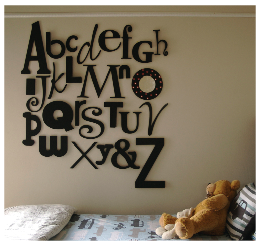 We're inspired every day by the thoughtful creations that are available on the market and we try (really really hard) to make sure that the designs we bring to you will be a solution to one of your kidspace decor issues. This is just one of the clever creations that I have found inspirational this week. It's a concealed shelf unit. 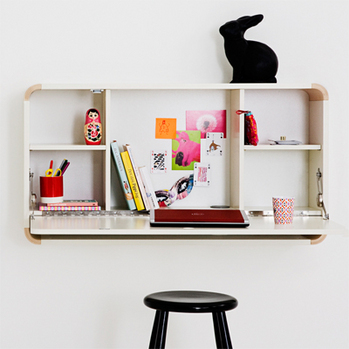 It hangs from a wall and it's front panel folds down to create a desk space for the kiddos. 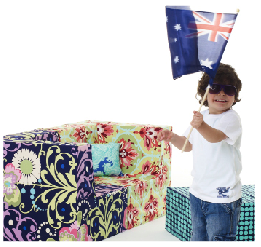 Neatness is no longer an issue because you can just close up the mess and hide it away! Genius! Now all I need is a couple of tidy kids!